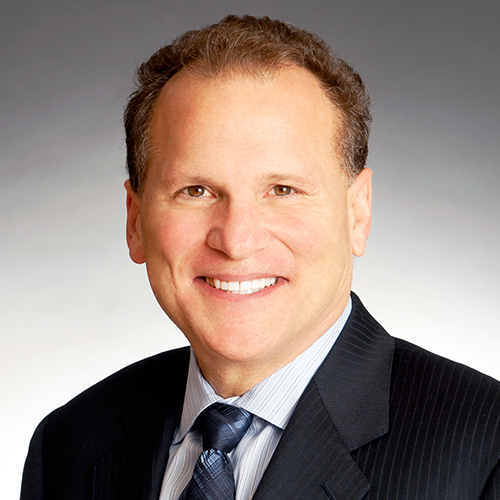 Rod Berman is rated one of the Best Lawyers in America® and is recognized by one of America's foremost legal publications, the Daily Journal, as one of the top 30 intellectual property attorneys in the State of California; he has also been recognized by the Los Angeles Business Journal as one of the top 100 attorneys in Los Angeles. The Los Angeles Business Journal included him in its list, "Who's Who in LA Law: Angelenos to Know in Intellectual Property Law." Rod is chairperson of the Firm's Intellectual Property Law Group, which earned JMBM recognition from the American Lawyer Media (ALM) as a Go-To Law Firm® in the areas of Intellectual Property Litigation and Patent Prosecution, as determined by ALM's annual survey of in-house counsel at FORTUNE 500® companies. Rod focuses on patent, trademark, trade dress, copyright, unfair competition and internet responsibilities. His practice includes counseling, litigation, opinions, licensing, acquisition and prosecution. He represents many nationally and internationally known clients, and has been involved in a number of published patent, trademark and copyright cases in a wide variety of industries. Rod has worked on a broad range of matters including those involving aircraft, apparel, automotive, beauty care, bicycles, biotechnology, cannabis products including CBDs, celebrity endorsement, computer-related business methods, dietary and nutritional supplements, electrochemistry, food and restaurants, health care, inflatables, insecticides, jewelry, medical devices, packaging, pharmaceuticals, polymers, pressure sensors, retail, special effects, sports and entertainment, and toys. His contributions to his clients' successes have been mentioned in the media, including BusinessWeek. Winning a preliminary injunction in a trademark case against Wilson Sports. Winning summary judgement of non-infringement in a patent case which was affirmed on appeal, and awarded attorney's fees. Winning an Inter Parties Review case against his client's direct competitor. In addition to being a registered patent attorney, Rod is a court-recognized expert in patent and trademark law, and has successfully argued before the Federal Circuit and the Ninth Circuit. He was also successful in resolving a U.S. Supreme Court petition for certiorari. Rod also has a strong business background, and received a Master of Science Degree from Indiana University. He has participated in numerous symposia and published several legal and technical papers on patent, trademark and copyright issues. He has particular expertise in strategy and tactics involving intellectual property disputes and design arounds, as well as internet and cyber law. Clients have said of him: "I was not only very impressed with the manner in which [he] negotiated with the mediator, but the attention [he] paid to each detail in preparing the settlement agreement;" "[He has] been extremely competent and responsive," and, "I appreciate the fact that I can call [him] in a panic and get the help I need." Opponents have said: "[H]e's tenacious, yet fair minded." Received the Highest Award from the Chinese Society of Inventions after his presentation in Taiwan of "E-Commerce in the United States: Selected Intellectual Property, Privacy and Contractual Issues"
Will Mayo v. Prometheus Be the Basis for the Invalidation of Broad Patent Claims and the Renegotiation of Royalties? Implications for Myriad gene case.